Indie Games: Explosionade is Refreshing! Perhaps the most under-appreciated segments of the Xbox LIVE Marketplace is the Indie Games section. I too am guilty of ignoring these games, but I plan to correct that by experimenting a playing more of the 1,346 and growing list of games that are available under this banner. This week I thought I would feature Explosionade a try and see what all the hype was about. Explosionade is the latest Indie Game to generate some positive buzz around the internet. It helps when an Indie Game comes from a developer with a proven track record like Mommy’s Best Games (MBG). MBG is the house that brought us the pioneering ‘Community Game’ Weapon of Choice (WoC) as well as the recently well received shooter, Shoot 1Up. This morning I voted with my dollar and purchased Explosionade so I could give it a more thorough playthrough than the demo provided. Explosionade (along with Weapon of Choice) really give me that nostalgic feel, back to the 8-Bit days of the NES. 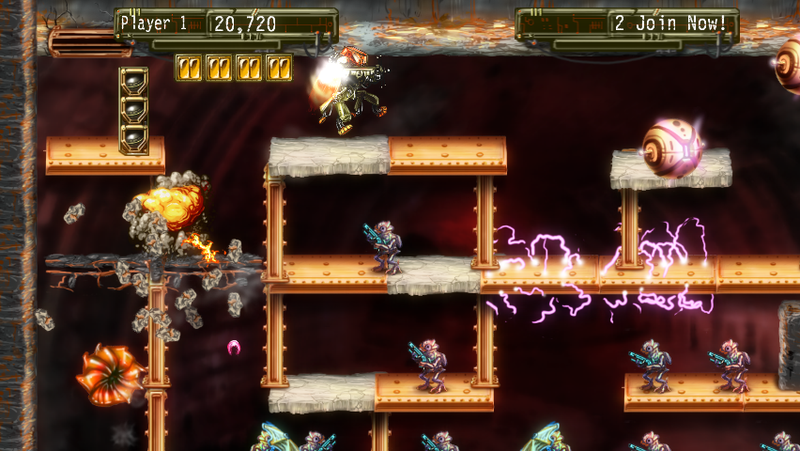 While WoC put me in the mind of the classic Contra game, Explosionade reminds me of several classic games: Master Blaster, Turrican, Lode Runner, and Steel Battalion. This is certainly some very elite company, at least in my opinion. 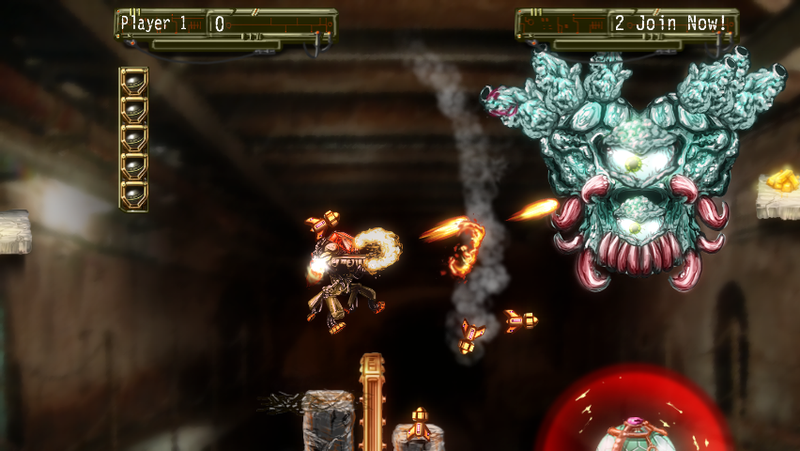 I enjoy Explosionade’s retro styling within the gloss that high-definition gaming brings, it is a sharp looking game. But Explosionade is more than a nostalgic mish-mash of some of my beloved games of yore, it is also a very competent adventure game/shooter hybrid with puzzles, in game awards, speed-runs, and enemies galore. MBG packed a lot of game into this package, and only saw fit to pass it along to the consumer for 80 Microsoft Points ($1). Truly a deal that is hard to pass up. If you have yet not dabbled in the Indie Games space or perhaps you are looking for an interesting challenge for not much coin, I recommend taking Explosionade and its sister games, Weapon of Choice and Shoot 1Up, for a spin. They all have a free demo so you can try before you buy. That is my Indie Game spotlight for this week. I would like to make this a regular feature on my blog. Hopefully with some positive feedback I will be inspired to keep this running. I would like to hear what your favourite Indie Games are too, perhaps I could feature them in a future post. Mommy’s Best Games | Welcome! This entry was posted in Indie Games, Xbox 360. Bookmark the permalink. 1 Response to Indie Games: Explosionade is Refreshing! Hey matey, that one sounds pretty good. I feel the same about the indie games, so underated and missed by many, I have picked up some great games for a dollar, one of the last i really enjoyed was soul, but one of my all time favourites was has to be ancient trader http://iorelaystation.wordpress.com/2010/06/29/ancient-trader/, anyways nice to see you blogging.